Music Days Celebration set for May 17th and 18th, 2014. 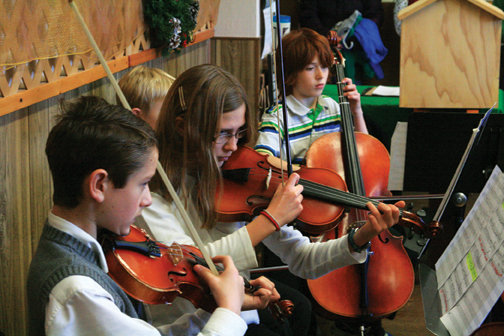 Musical talents of the Methow Valley will be showcased in Cascadia’s annual Music Days Celebration, May 17 and 18 in the Twisp Community Center. Music Days features performances by the Pipestone Orchestra, Jazz Ensemble and Pipestone Youth Orchestra (both orchestras are under the direction of Tara Kaiyala Weaver), in a concert on Saturday evening, May 17. Pipestone School of Music students will present individual year-end recitals on the afternoon of Sunday, May 17. The recitals are open to the public.